While He was in Bethany at the home of Simon the leper, as He was reclining at the table, a woman came, having an alabaster flask of perfume of pure nard . . . she broke the flask and poured it over his head (Mark 14:3). 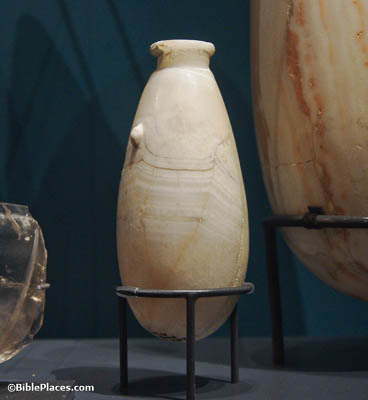 Alabaster, beautiful as it is, has been used as a material for perfume bottles since the Bronze Ages. This particular example is from centuries before Jesus’s time, but the woman’s flask likely looked similar—perhaps with a long, thin neck that was more easily broken. Go into the city, and a man carrying a jar of water will meet you (Mark 14:13). If this sounds strangely like a spy novel, it should. 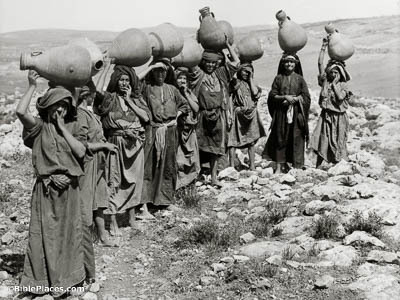 When the disciples asked where they should prepare the Passover, Jesus told them to meet a man carrying water—an unusual thing, because this was usually woman’s work. This man would show them the proper place, as Jesus had apparently made prior arrangements with that household in private. The secrecy was necessary in order to keep Judas in the dark (and therefore, Jesus safe from the authorities) until the proper moment. And he will show you a large upper room furnished and ready (Mark 14:15). Many details of this final meal are left mysterious. 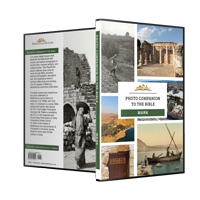 Little is known about the Passover customs of Jesus’s day, and the location of the Upper Room isn’t exactly known. This traditional spot is a Crusader structure, much too late to be authentic. However, the tradition that it was somewhere in the area is quite strong, making this room a fair approximation. And they came to a place which was named Gethsemane (Mark 14:32). 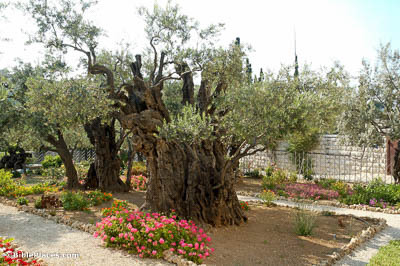 Today’s Gethsemane is home to eight ancient olive trees. Scholars estimate that they may be upwards of 2000 years old. 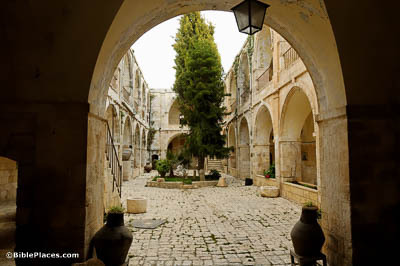 However, it’s unlikely that any of these trees were here in the time of Christ because the Romans reportedly clear cut the whole area during their siege of Jerusalem in AD 70. They led Jesus away to the high priest. And all the chief priests and the elders and the scribes gathered together (Mark 14:53). The people gathered to condemn Jesus in this illegal trial were the spiritual leaders of Israel. 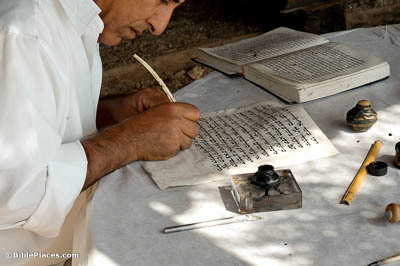 Even the scribes mentioned here were not simple copyists—some translations fairly render this term “teachers of the law.” The point being, the people who should have known Scripture best were the very ones to judge the man it spoke of. Peter had followed Him from a distance, right into the courtyard of the high priest. He was sitting with the guards and warming himself by the light of the fire (Mark 14:66). Judging from clues in the various Gospel accounts, it seems that this court wasn’t external to the house, but was instead surrounded by it. 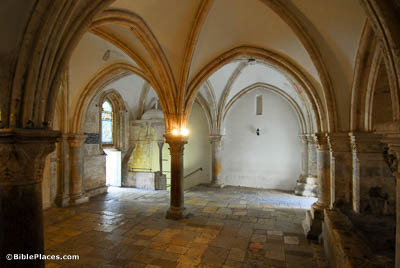 Excavations of the Palatial Mansion in the Jewish Quarter of Jerusalem have found a house with just such a courtyard, and the idea is illustrated in this picture of a museum in today’s Armenian Quarter.